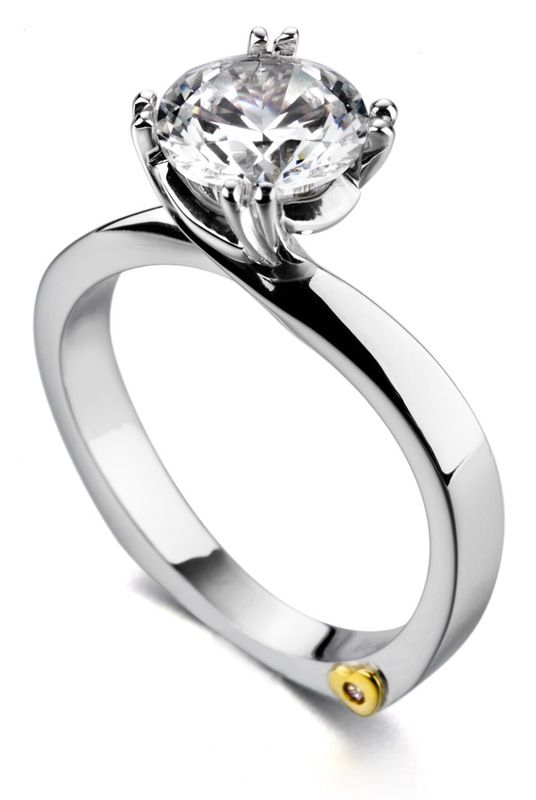 This designs artfully represents the blending of passion and stability that makes a healthy relationship. 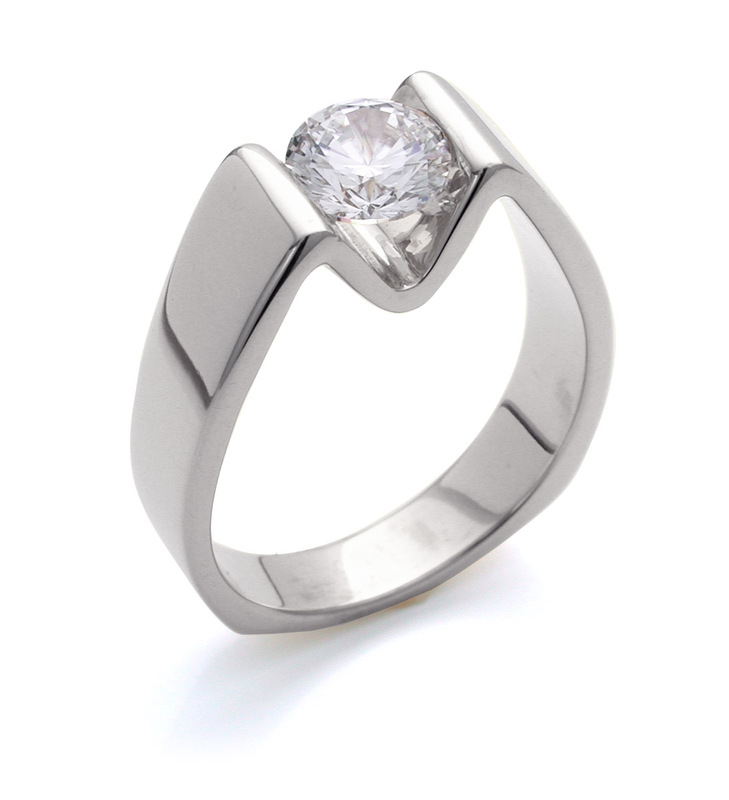 Comprised of two bands (or shanks) one of which is straight and solid representing committed stability while the other is thin and curved representing intensity and passion. 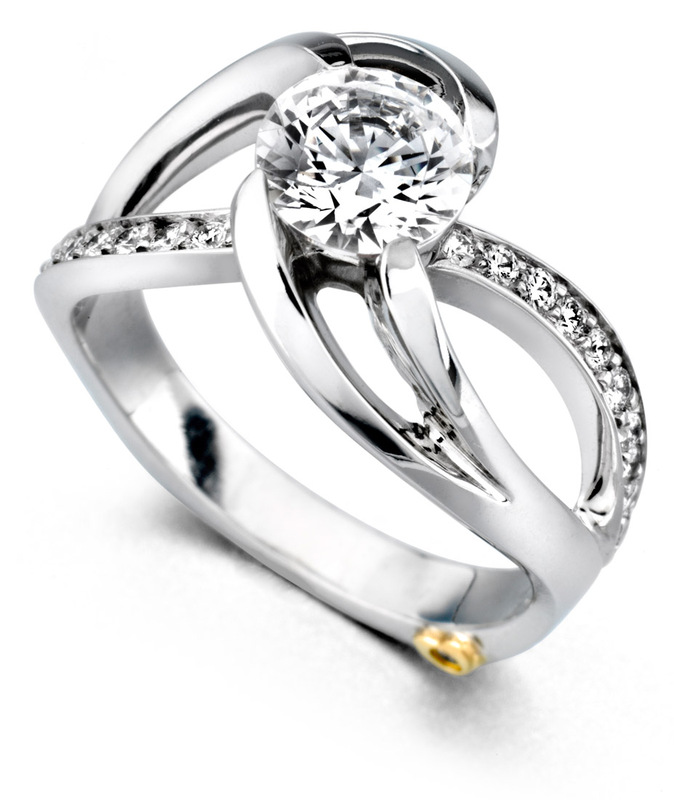 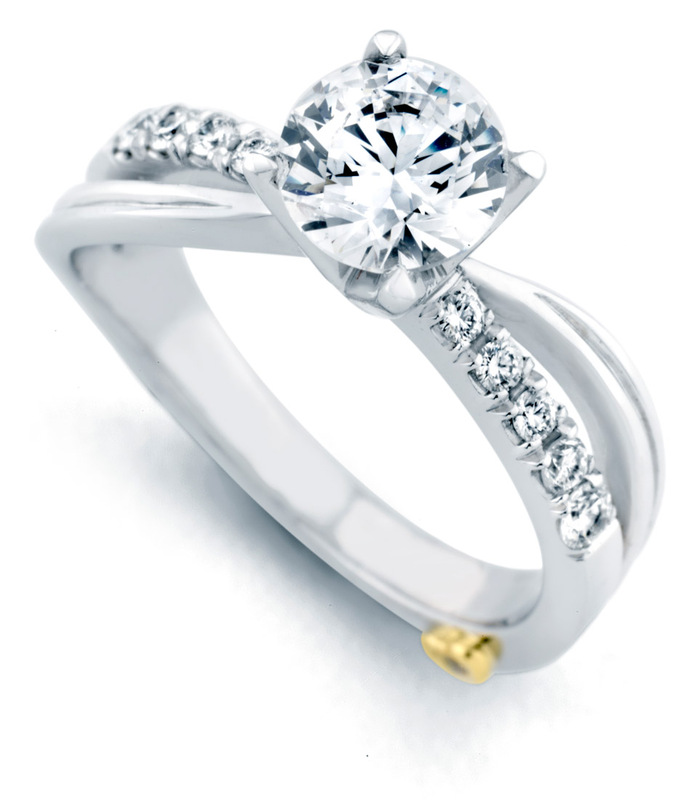 They come together at the center diamond forming a beautiful balance for a beautiful couple.